Please make sure that this application form is filled out completely and that sections of the form are not deleted because they do not apply. If a certain section does not apply then please put "N/A" as an answer. Please fill this application out as honestly and to the best of your knowledge as possible as this will speed up the application process - Many Thanks. How did you hear about the 12th fleet? Old friend is an old member of the fleet. What made you interested in choosing the 12th fleet? This is a more secondary character and I'm looking for a well developed fleet to support this Federation character while my main is Klingon in a small fleet that requires most of my resources. Before you choose which division you would like to be in, please visit the following links on a full description on each of the divisions. *If you are applying to the 12th fleet with a Romulan as your character, please indicate which faction you are aligned with. Divisions welcome all in-game careers, you do not have to join the division that your character specializes in in-game. Instead join the division that focuses on your main game-play interest. What days and times are you usually online? : Week days in the evening and on the week-end. In a paragraph please explain how you will benefit the 12th fleet? 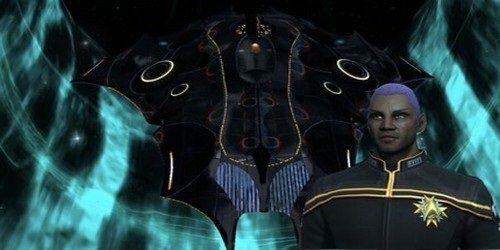 I am willing to contribute some resources to the fleet and will be playing in pve, pvp and in fleet events with my friend that is an old-timer in your fleet and is unwilling to play on the Klingon side. NOTE: If you fail an Activity Check you will be made inactive and removed from the fleet, Please read our Activity Policy before selecting yes. We ask that, where possible, you provide Command at least 3 days notice of your intention to leave the Fleet. This has been traditionally considered good courtesy, and gives us an opportunity to conduct the necessary administration. If you have not done so yet, please read through our Public Access Information. Someone from your division should be along "shortly" (for sure within 24 hours) to give you your divisional assignment and game invite. While you wait, I recommend you read our Member Access Information. I assign you as an Asset to Alpha Squadron (Renegades) under Senior Field Operative Oneal_CJ. If you haven't already, I recommend you read through our Information Index as it contains information on all our communication channels as well as other important information (e.g., it explains how as a returning inactive member, you must go through the Recruit rank for a month before you will have full access to fleet stores in-game). You need to set your forum avatar to Ensign! You can set your avatar at: http://forums.12th-fleet.com/ucp.php?i=profile&mode=avatar, just click on Display gallery, Go to the Local gallery Category S31 and choose the Ensign avatar (first one on the top left). After that press "submit" and you're done. In the next few minutes I will be sending you invites in-game to join the main fleet and 12th chat. You will find the fleet invite in your Fleet window, and the chat invite will be in your chat options under the "Channels" tab. Be sure to press the button to join the "12th" chat channel. 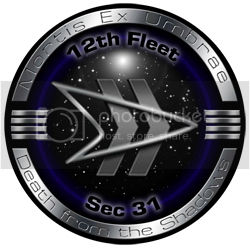 The "12th" channel is shared by all our fleets (Main, Reserves, and KDF), and it is where almost all our chat happens in game. We are going to seem like a very quiet fleet if you are not on the "12th" channel. Welcome! Just in time for winter fest!